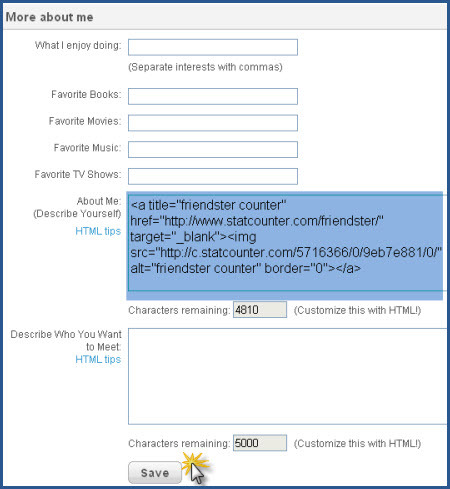 How do I install StatCounter using Friendster? If prompted, make sure to choose Friendster from the list of Installation Guides. 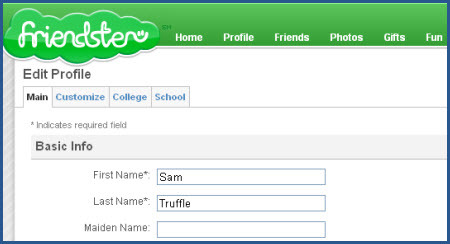 Log into your Friendster profile (opens in a new window). In the "Main" tab, scroll down to the "More About Me" section. 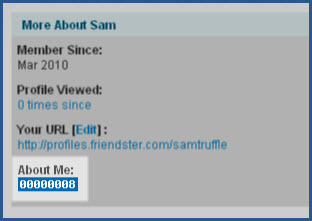 Paste your StatCounter code into the "About Me" box then click "Save" and that's it! 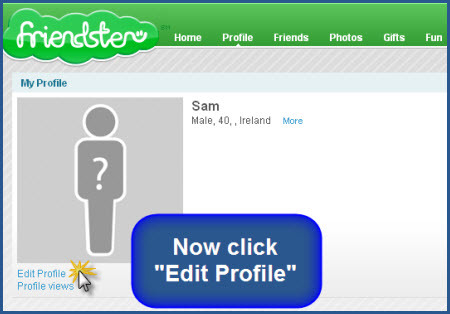 Your StatCounter will now begin recording visitor information and, if you chose the visible option, your counter will be visible on your Friendster profile!